The Legend of Zelda: The Wind Waker[b] is an action-adventure game developed and published by Nintendo for the GameCube home video game console. The tenth installment in The Legend of Zelda series, it was released in Japan in December 2002, in North America in March 2003, and in Europe in May 2003. The game is set on a group of islands in a vast sea, a departure for the series. The player controls the series' protagonist Link as he attempts to save his sister from the sorcerer Ganon and becomes embroiled in a struggle for the Triforce, a sacred wish-granting relic. Aided by allies including pirate captain Tetra – an incarnation of Princess Zelda – and a talking boat named the King of Red Lions, Link sails the ocean, explores islands, and traverses dungeons to acquire the power necessary to defeat Ganon. Wind, which facilitates sailing, plays a prominent role and can be controlled with a magic conductor's baton called the Wind Waker. The Wind Waker was directed by Eiji Aonuma and produced by Shigeru Miyamoto and Takashi Tezuka. It retains the basic 3D gameplay of its predecessors, Ocarina of Time and Majora's Mask, but with a distinctive cartoon-like art style created through cel shading. The game received critical acclaim, though its art direction proved divisive among players and contributed to comparatively weak sales; the game sold 4.6 million copies, far below the 7.6 million by Ocarina of Time. As a result, Nintendo changed directions with the next Zelda installment, the more realistically styled Twilight Princess. However, The Wind Waker's reputation improved over time, and it is now widely considered one of the greatest video games ever made. The Wind Waker originated the "Toon Link" character, and received two direct sequels for the Nintendo DS, Phantom Hourglass (2007) and Spirit Tracks (2009). A high-definition remaster, The Legend of Zelda: The Wind Waker HD, was released for the Wii U in 2013. The Legend of Zelda: The Wind Waker is an open world action-adventure game with role-playing elements. The control scheme is comparable to its predecessors: the player moves the protagonist Link in three dimensions from a third-person perspective. Link fights with a sword and shield, and can use a variety of other items and weapons. He interacts with non-player characters and objects via the action button. Like the previous games, The Wind Waker features a targeting system allowing Link to "lock on" and constantly face an enemy or target. A new feature is the ability to move the camera system around Link. 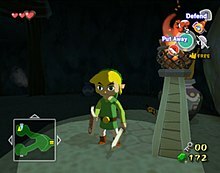 Onscreen meters track Link's health and magic; Link can expand his health meter by finding "heart containers" and container pieces in the game. The game world comprises 49 gridded sections of the "Great Sea", each containing an island or island chain. Some must be explored to continue the story, while others are optional. Like all Zelda games, The Wind Waker features several dungeons—large, enclosed areas where Link fights enemies, finds items, and solves puzzles to continue. Each dungeon quest concludes with a battle against a boss, a singularly powerful enemy. In addition to the main story, the game includes many sidequests, minor objectives the player can optionally complete to attain rewards. For example, Link can use the "Picto Box" – an in-game camera – to take pictures to fulfill quests. Throughout the game, Link acquires items and weapons that provide new abilities. Items are often needed to reach certain areas, defeat bosses and other enemies, and advance the story. For example, the grappling hook is necessary to pass obstacles and defeat the boss in the Dragon Roost Cavern dungeon; it can then be used to enter previously inaccessible areas elsewhere. The "Tingle Tuner" is a special item allowing a second player to control the character Tingle if the system is connected to a Game Boy Advance by a link cable. A significant portion of the game is spent sailing between islands on Link's boat, the King of Red Lions. The boat's sail is driven by wind that blows across the game world in one of eight directions; a tailwind behind the boat will give it top speed, while sailing against the wind is difficult. The Great Sea features different enemies and obstacles than the land. Some items serve new purposes on the King of Red Lions; for instance, the grappling hook serves as a crane for recovering sunken treasure. Link explores the sea with the help of a sea chart, which can be updated with information on each square and island. Through the game, Link acquires additional charts pointing the way to treasure chests and significant locations. On land, dungeons feature similar maps. Early in the game, Link receives the Wind Waker, a baton that allows him to control the wind and gain other powers by "conducting" specific melodies. The player controls the Wind Waker by moving the joypads to change pitch and time signature. The first melody, the "Wind's Requiem", enables Link to change the wind's direction, allowing him to sail anywhere. Link can learn five other tunes for the Wind Waker, which provide abilities such as warping to other regions and turning night to day. According to The Legend of Zelda: Hyrule Historia, Nintendo's official Legend of Zelda chronology, The Wind Waker takes place in the "New World" timeline, one of several parallel timelines in which Zelda games are set following the events of Ocarina of Time. The game follows the "Adult Link" timeline, after Link, the "Hero of Time", defeats Ganon and time-travels back to his childhood. A crisis emerges when Ganon returns, but Link does not. Centuries later, the people live on islands in the Great Sea. They preserve Link's story as a legend, but his kingdom's fate is unknown. The main character, a young boy also named Link, lives on Outset Island, where boys dress in green like the Hero of Time when they come of age. While Link is celebrating his coming of age, a gigantic bird drops pirate captain Tetra into Outset Island's forest. Link rescues Tetra from monsters, but the bird carries off Link's sister Aryll. Tetra agrees to help Link find his sister, and they sail to the Forsaken Fortress, where the bird, the Helmaroc King, has been taking girls with long ears. Link finds Aryll and other kidnapped girls, but the Helmaroc King captures him and takes him to a man in black, who orders Link thrown into the sea. Link is rescued at Windfall Island by a talking boat, the King of Red Lions, who explains that the bird's master is a returned Ganon. To defeat him, Link must find the Hero of Time's power, which requires the three Pearls of the Goddesses. Link finds Din's Pearl on Dragon Roost Island, home of the avian Rito and the dragon Valoo; Farore's Pearl in Forest Haven, home of the Great Deku Tree and the plant-like Koroks; and Nayru's Pearl with the water spirit Jabun on Outset Island. The King of Red Lions then takes Link to the Tower of the Gods, where he faces trials before descending beneath the ocean to a castle suspended in time. Here Link finds the Hero of Time's weapon, the Master Sword. Link returns to the Forsaken Fortress. Tetra's crew arrive and rescue the girls, but Ganon easily overpowers Link and Tetra: the Master Sword has lost its power. Ganon recognizes Tetra's Triforce necklace, and realizes she is the incarnation of Princess Zelda he is seeking. Link's Rito allies and Valoo save Link and Tetra from Ganon. The King of Red Lions brings the two back to the underwater realm, explaining it is the legendary kingdom of Hyrule, which the goddesses submerged long ago to contain Ganon while the people fled to the mountaintops. The King of Red Lions reveals himself to be Daphnes Nohansen Hyrule, the last King of Hyrule, and Tetra is his heir, Zelda, keeper of the Triforce of Wisdom. Tetra remains in the castle while Link and the King journey to the two sages who provided the Master Sword's power. They discover Ganon's forces murdered them both, so Link must awaken new sages: the Rito Medli and the Korok Makar. The sages restore the Master Sword, but the King learns that Ganon has abandoned the Forsaken Fortress, and fears an attack. They then track down the eight shards of the missing Triforce of Courage, once kept by the Hero of Time, and the gods recognize Link as the Hero of Winds. Link and the King return to Hyrule to discover that Ganon has captured Tetra. Link follows them to Ganon's tower, defeating Ganon's minions before Ganon overcomes him. Ganon joins Link's and Tetra's Triforce pieces with his own Triforce of Power, forming the complete Triforce, which will grant his wish to rule the world. Before he can act, the King of Hyrule appears and wishes that the Goddesses wash Ganon and Hyrule away, and grant Link and Tetra hope for their own future. Link and Tetra battle Ganon with the Master Sword and magical arrows as water pours around them; with the final blow, the Master Sword turns Ganon to stone. Link and Tetra rise to the surface as the King and Hyrule are submerged. They are reunited with their friends; a post-credits scene shows the heroes sailing off to find a new land. Nintendo's Zelda team initiated plans for a new game early in the development of the GameCube system, before Majora's Mask was completed for the Nintendo 64 in 2000. Eiji Aonuma, director of Majora's Mask, returned to helm the project, while Shigeru Miyamoto and Takashi Tezuka served as producers. Early concepts generally followed Ocarina of Time's designs, with graphics enhanced for the new system's capabilities. The team hastily created a brief clip of Link fighting Ganondorf for a demonstration at the 2000 Space World exposition, where Nintendo announced the GameCube. The clip resonated with fans and commentators who hoped it previewed the next Zelda game. The Zelda team, however, had exhausted its ideas for this style and format. Aonuma hated the demo, finding it derivative of past Zelda games. The team explored other directions until designer Yoshiki Haruhana created a cartoonish drawing of a young Link that caught their eye. Design manager Satoru Takizawa drew up an enemy Moblin in a similar style, and the team seized on the new gameplay and combat possibilities afforded by the stylized cartoon aesthetic. To achieve this look, they used cel shading on 3D models, giving the look of an interactive cartoon. The developers built the game with Alias/Wavefront's Maya 3D tool and a custom game engine. With this decision, development proceeded swiftly. The team quickly decided the setting would be islands in an ocean, determining it would provide interesting visuals and mechanics in the cel-shaded style. This in turn inspired the central sailing feature. Some features drew skepticism; for instance producers Miyamoto and Tezuka requested an explanation for the characters' exaggeratedly large eyes. The team jokingly suggested having Link shoot beams from his eyes before deciding to have him focus his gaze on significant objects nearby, giving hints to observant players about what to do next. Nintendo presented a demo clip of the new game at the 2001 Space World, August 23–26. Response to the cel-shaded design was divided. While some attendees enjoyed the new look, there was backlash from disappointed fans who had hoped for a more realistic Zelda along the lines of the 2000 demo. Critics derisively dubbed the game "Celda". Miyamoto was surprised at the response, and decided to limit revealing further information about the game until the team finished a playable demonstration, hoping to shift focus from the graphics to the gameplay. Development continued through late 2002, with targeted release dates of December in Japan and early 2003 in North America. During the final stages, two dungeons that fell behind schedule were cut and replaced with a quest to recover Triforce pieces around the Great Sea. Elements of these dungeons were recycled for later Zelda games. On October 15, 2002, Nintendo revealed the game's Japanese subtitle, Kaze no Takuto (Wind Baton), to emphasize the role of wind in the game. The company announced the English title, The Wind Waker, on December 2, 2002. In the gap between the Japanese and North American releases, the designers reworked some segments, notably shortening the lengthy Triforce quest. The music in The Wind Waker was composed by Kenta Nagata, Hajime Wakai, Toru Minegishi, and Koji Kondo. The sound team was significantly larger than for other contemporary projects to accommodate Nintendo's desire for a high caliber of work in the rushed development schedule. Koji Kondo, the primary composer for The Legend of Zelda series, contributed to the score but did not serve as sound director. However, the score incorporated some of his pieces from older Zelda games, modifying them to emphasize the time passed between the stories. The soundtrack is primarily environmental; it modulates between various tracks depending on location, time and other conditions. Much of the score is inspired by traditional Irish music, and is overall lighter and more upbeat than previous scores in the series. The advancement of MIDI technology allowed the soundtrack to more closely approximate the sounds of real instruments than was possible in previous installments. The score features strings, winds, brass, and percussion, and for the first time in the Zelda series, wordless vocals. The vocals are especially prominent in the tunes Link conducts with the Wind Waker, singing in D major. Shigeru Miyamoto reportedly played the mandolin featured in the "Title Theme". Scitron Digital Content released a two-disc, 133-track soundtrack album, The Legend of Zelda: The Wind Waker Original Sound Tracks, on March 19, 2003. The Wind Waker was released on December 13, 2002 in Japan, on March 24, 2003 in North America, and on May 2, 2003 in Europe. To promote the release, Nintendo offered a bonus disc as a pre-order incentive which included a GameCube port of Ocarina of Time as well as its previously unreleased expansion, Ura Zelda. Ura Zelda, largely an adaptation of Ocarina of Time with some changes, including new dungeon challenges, had been developed for the Nintendo 64's 64DD peripheral, but was shelved when that system failed. Ura Zelda was named Ocarina of Time Master Quest in North America and Europe. Ocarina of Time/Master Quest discs became popular items in their own right in North America, with some customers making and then cancelling preorders to get them. To avoid this issue in Europe, Nintendo released the item only in two-disc packages with The Wind Waker. In May 2003, Nintendo bundled The Wind Waker with limited edition GameCubes in North America and Europe. On November 17 that year, Nintendo launched another promotion via a compilation disc, The Legend of Zelda Collector's Edition. The disc includes ports of the original Legend of Zelda, Zelda II: The Adventure of Link, Ocarina of Time, and Majora's Mask, as well as a Wind Waker demo and two featurettes. Collector's Edition was included in another GameCube bundle, and was made available to existing GameCube owners who registered their system or subscribed to Nintendo Power. The Wind Waker received widespread critical acclaim. Review aggregator website Metacritic calculated a score of 96/100 based on 80 reviews, indicating "universal acclaim". It was the fourth game to receive a perfect score from the Japanese magazine Famitsu, and additionally earned perfect scores from Computer and Video Games, Game Informer, Game Pro, Nintendo Power, and Planet GameCube. It received high marks from many other reviewers as well, although it did not reach the levels of critical acclaim that had greeted Ocarina of Time. While often noting fans' ambivalence about the cel shading, critics praised the game's visuals. Reviewers likened the game to a playable cartoon, with several positively comparing the animation to the films of Disney and Hayao Miyazaki. In particular, critics appreciated the characters' unique expressiveness, and found that the fine details and environments added richness to the game world. Famitsu's reviewers wrote that the rich design brings all the game's elements together into a cohesive whole. Electronic Gaming Monthly's reviewers found the animation quality unparalleled in games and wrote that "The Wind Waker's new look is as effective as it is unique". Matt Casamassina of IGN said that despite some fans' distaste for the graphics, Nintendo's execution represented the pinnacle of the GameCube's capabilities and of cel shading technology. Jeff Gerstmann of GameSpot said that skepticism about the visuals was "unfounded", and wrote that the character design "adds emotional weight" to the storyline. One Nintendo Power reviewer wrote that despite his initial skepticism, the visuals worked "brilliantly, framing the most enjoyable game play experience I've had since Ocarina of Time". Critics also lauded the gameplay, in particular the responsive control system, fluid combat, and puzzles. Several reviews noted the gameplay's similarity to Ocarina of Time despite the cel-shaded graphics, though they praised enhancements such as the ability to move the camera, perform counterattacks, and use enemy items. IGN reassured players that beyond visual differences between The Wind Waker and Ocarina, "these two games are very much alike". Game Informer wrote that the gameplay expanded upon that in its predecessors to become "far greater, deeper, and more complex", while Electronic Gaming Monthly said that "Wind Waker's core gameplay is the best the series has ever had". On the other hand, Edge said that while the game would awe new players, its similarity to previous Zelda games meant that veteran players may find it "'merely' brilliant." Famitsu wrote that the game's user friendliness would appeal even to novice players. IGN praised the intuitive controls, the especially interactive environment, and the variety of game actions, which "can be executed with a precision that few other games could offer". GameSpot appreciated the breadth of items that can be used. Electronic Gaming Monthly said that the high variety of options for progressing through fights and puzzles kept the game from ever getting boring. GamePro's Star Dingo enjoyed the variety of combo attacks and puzzles, and called the game "a combination of vivid artistry and timeless gameplay". Other elements that commonly received praise include the expansive game world and level design, especially in the dungeons. The storyline also received praise; Nintendo Power called the game "a masterpiece of style and storytelling". Several critics lauded the score and soundtrack, though some noted the lack of voice acting as a drawback. The game's most common criticism is the heavy emphasis on sailing, especially later in the game when Link must trek around the ocean to collect Triforce pieces. GameSpot wrote that while the main quest "starts out in a very brisk manner", by the last third of the game, the "focus on sailing ... is pretty tedious". Edge wrote that the sailing was "convincingly organic", but even with the warp feature, "there remains an awful lot of relatively dull seafaring activity". Others complained about having to use the Wind Waker so frequently to change wind direction. IGN wrote that using the device became "a tedious nuisance", and that the inability to skip the accompanying animation was "more bothersome still". Some reviewers enjoyed the sailing; two Electronic Gaming Monthly reviewers appreciated the combat, exploration, and side quests available at sea. Another common criticism was the game's comparatively low level of difficulty. IGN wrote that once the player added enough hearts to Link's health meter, "he becomes nearly invincible, which is a true shortcoming as far as we concerned". Several publications named The Wind Waker Game of the Year, including GameSpot, Nintendo Power, GameFAQs, Planet GameCube, and Games magazine. IGN gave it the Readers' Choice award for 2003 and named it Best Adventure Game for the GameCube. It received the Excellence in Visual Arts award at the 2004 Game Developers Choice Awards and was a finalist for the GDCA Game of the Year award. It also won the Outstanding Achievement in Art Direction award at the 2004 Interactive Achievement Awards and received seven other nominations, including Console Game of the Year. Player response to the game remained divided over the cel-shaded design. Reception was comparatively warm in Japan, where various media commonly borrow an anime aesthetic, but was much more divided in North America. Some players appreciated the design and Miyamoto's vision, but others found it childish and too far removed from the more realistic designs of previous games. According to Stephen Totilo of Kotaku, much of the backlash came from anxiety that Nintendo was losing its edge by focusing on games for children, as opposed to the more mature, realistic fare developed by competitors. The Wind Waker generated the most successful pre-order campaign in Nintendo history at the time. However, sales did not live up to expectations; director Aonuma noted that purchases were disappointing in both Japan and North America. Japanese sales suffered from a general decline in the video game market caused by consumers shifting away from games, a phenomenon known as "gamer drift". The overall market remained strong in North America, but The Wind Waker's sales were slow there, and had declined markedly by the time they reached one million. The Wind Waker sold 4.6 million copies, far below the 7.6 million record set by Ocarina of Time. Nintendo of America attributed the game's comparatively weak North American sales in large part to the cel-shaded graphics, which turned off many players, particularly older teenagers who made up The Legend of Zelda's traditional audience. Miyamoto further blamed a failure to introduce major innovations to excite established players or attract new ones. Nintendo initially planned a direct sequel for the GameCube, developed by Aonuma's Zelda team under the working title Wind Waker 2. However, Wind Waker's underwhelming reception in North America, combined with the downturn in the Japanese video game market, convinced Aonuma that the only avenue to success would be a more realistic Zelda game that would appeal to the stronger North American market. He persuaded Miyamoto, who authorized development of a realistically styled game using the Wind Waker engine, The Legend of Zelda: Twilight Princess. Twilight Princess proved a major success for the GameCube and the newly released Wii. The Wind Waker originated the variant of the Link character named "Toon Link", who appeared in several later Nintendo games. The Wind Waker received two direct sequels for the Nintendo DS handheld system. Wanting to continue The Wind Waker's story and art style, Aonuma produced The Legend of Zelda: Phantom Hourglass in 2007, which follows Link and Tetra as they explore new reaches of the Great Sea. The Legend of Zelda: Spirit Tracks (2009) is set later, with a new Link and Zelda traversing a New Hyrule with a magic train. Toon Link also returned in indirectly related Legend of Zelda games such as Four Swords Adventures (2004), The Minish Cap (2005), and Tri Force Heroes (2015). He also features as a playable character in Nintendo's Super Smash Bros. crossover fighting game series, and along with other Wind Waker characters, in the 2016 Legend of Zelda pastiche Hyrule Warriors Legends. Conductors of the concert tour The Legend of Zelda: Symphony of the Goddesses have used custom-made Wind Waker batons. The Wind Waker also influenced 2017's The Legend of Zelda: Breath of the Wild, which features a similarly stylized art design, but with more realistic proportions. Breath of the Wild also includes species from The Wind Waker and other references, leading some fans to speculate that it follows The Wind Waker's timeline. The Wind Waker has continued to be acclaimed by critics. It has appeared in various lists of the best video games, including those compiled by Electronic Gaming Monthly, Nintendo Power, and IGN. 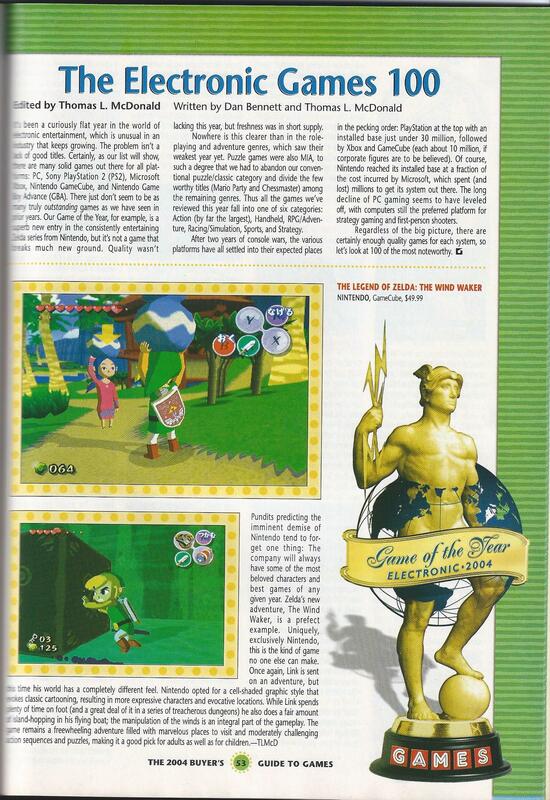 Nintendo Power named The Wind Waker the fourth best game to ever appear on a Nintendo console, while Official Nintendo Magazine placed it 12th. Nintendo Power listed its ending as one of the greatest in Nintendo history, due to the final battle's climax. UGO listed The Wind Waker on their list of the "Top 50 Games That Belong On the 3DS". 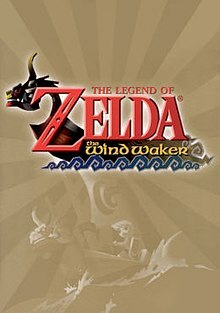 In a retrospective on the GameCube, IGN named The Wind Waker the fourth best game ever released for the system. Nintendo Power named The Wind Waker the second best GameCube game of all time, behind only Resident Evil 4. Later pieces have noted that The Wind Waker's divisive reputation among fans improved over time, and that it has come to be seen as a classic. Several writers have said that the game and its stylized aesthetic aged well, whereas contemporary games with more realistic graphics often became dated. The graphics that initially divided opinion have become a favorite feature; some former skeptics have written about revising their initial opinions. Nintendo representatives describe this turnaround as a particularly dramatic example of the "Zelda cycle", in which fans' negative responses to Zelda games improve over time. In 2013, Keza MacDonald of IGN wrote that The Wind Waker had outlived its initial reception and become "popularly considered among the very best Zeldas". In 2013, Nintendo developed a high definition re-release of The Wind Waker, The Legend of Zelda: The Wind Waker HD, for the Wii U. The inspiration came when staff converted elements from various games to explore the system's capabilities in planning a new Legend of Zelda installment. The developers experimented with several Zelda games, but were especially struck by how well The Wind Waker translated into high definition. When the team determined it would take less than a year to remaster the entire game, Aonuma approached Miyamoto about developing it. He faced considerable reluctance from management due to players' mixed response in 2003, but by this time Nintendo staff were discussing the "Zelda cycle" and the fact that opinions of the game had warmed over the years, and Miyamoto greenlit development. 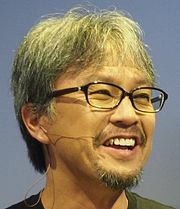 Aonuma served as producer, while Daiki Iwamoto served as director. The Wind Waker HD converted all graphics into high definition, and improved the lighting. The developers made some changes to the gameplay as well: they introduced a new item, the "Swift Sail", allowing for faster sailing on the Great Sea. They also streamlined the Triforce quest, improved the Picto Box, and replaced the Tingle Tuner, which had required connectivity with a Game Boy Advance, with a Tingle Bottle item that connected to the Miiverse prior to its shutdown on November 8, 2017. The Wind Waker HD was critically acclaimed; review aggregators Metacritic calculated a score of 90/100 based on 70 reviews. According to Keza MacDonald, the rerelease was "near-universally hailed as a masterpiece". ^ One of the artworks used for the game's packaging in North America. Its original release, and later releases and releases in other regions feature different background patterns and gradients. ^ The Legend of Zelda: The Wind Waker Instruction Booklet (PDF). www.nintendo.com. United States: Nintendo. 2003. pp. 8, 16. Archived (PDF) from the original on August 21, 2016. ^ The Legend of Zelda: The Wind Waker Instruction Booklet (PDF). www.nintendo.com. United States: Nintendo. 2003. pp. 9, 12, 16–18. Archived (PDF) from the original on August 21, 2016. ^ The Legend of Zelda: The Wind Waker Instruction Booklet (PDF). www.nintendo.com. United States: Nintendo. 2003. pp. 12, 19. Archived (PDF) from the original on August 21, 2016. ^ The Legend of Zelda: The Wind Waker Instruction Booklet (PDF). www.nintendo.com. United States: Nintendo. 2003. pp. 8, 11. Archived (PDF) from the original on August 21, 2016. ^ The Legend of Zelda: The Wind Waker Instruction Booklet (PDF). www.nintendo.com. United States: Nintendo. 2003. pp. 11, 28. Archived (PDF) from the original on August 21, 2016. ^ Ali, Imran. Virtual Landscapes: The Modern Era (2002–2012). Zayn Creative. pp. 43–44. ISBN 095740865X. ^ Riendeau, Danielle (September 18, 2013). "The Legend of Zelda: The Wind Waker HD review: sail away". Polygon. Archived from the original on September 20, 2013. Retrieved June 27, 2016. ^ Otero, Jose (August 22, 2013). "The Legend of Zelda: Wind Waker HD Offers a Definitive Experience". IGN. Archived from the original on August 22, 2013. Retrieved June 27, 2016. ^ The Legend of Zelda: The Wind Waker Instruction Booklet (PDF). www.nintendo.com. United States: Nintendo. 2003. pp. 20–21. Archived (PDF) from the original on August 21, 2016. ^ The Legend of Zelda: The Wind Waker Instruction Booklet (PDF). www.nintendo.com. United States: Nintendo. 2003. pp. 20, 25. Archived (PDF) from the original on August 21, 2016. ^ The Legend of Zelda: The Wind Waker Instruction Booklet (PDF). www.nintendo.com. United States: Nintendo. 2003. pp. 22–23. Archived (PDF) from the original on August 21, 2016. ^ The Legend of Zelda: The Wind Waker Instruction Booklet (PDF). www.nintendo.com. United States: Nintendo. 2003. pp. 14–15. Archived (PDF) from the original on August 21, 2016. ^ Teetsel, Sarah (August 2015). Musical Memory of the Player, Characters, and World of The Legend of Zelda Video Game Series (PDF) (Master of Music thesis). Bowling Green University. pp. 6–7, 51–67. Archived from the original on February 16, 2017. Retrieved June 29, 2016. ^ Thorpe, Patrick, ed. (2016). Hyrule Historia. Dark Horse Books. pp. 69, 122–129. ISBN 1616550414. ^ a b c d "Miyamoto and Aonuma on Zelda". IGN. Translated by Bill Trinen. December 4, 2002. Archived from the original on March 7, 2016. Retrieved June 30, 2016. ^ a b c d e f g h i j k l Iwata, Satoru (2013). "Iwata Asks: The Legend of Zelda: The Wind Waker HD". iwataasks.nintendo.com. Nintendo. Archived from the original on July 25, 2015. Retrieved June 24, 2016. ^ a b c d e f g h i j MacDonald, Keza (October 25, 2013). "The Story of Zelda: Wind Waker". IGN. Archived from the original on August 17, 2016. Retrieved June 24, 2016. ^ a b c Plunkett, Luke (February 24, 2011). "The Great Zelda Switcheroo". Kotaku. Gawker Media. Archived from the original on May 31, 2016. Retrieved June 24, 2016. ^ "Zelda on Nintendo Gamecube". IGN. August 23, 2000. Archived from the original on February 7, 2012. Retrieved June 24, 2016. ^ Green, Andy (September 13, 2013). "Iwata Asks Explores The Origins of Toon Link and The Process Behind Making The Wind Waker HD". Nintendo Life. Archived from the original on February 14, 2017. Retrieved June 28, 2016. ^ Newman, James; Simons, Iain (2007). 100 Videogames. British Film Institute. p. 99. ISBN 1844571610. ^ Bedigian, Louis (September 27, 2011). "The Legend of Zelda guilty of having revolutionary graphics; authorities say Maya is to blame". GameZone. Archived from the original on February 15, 2017. Retrieved July 6, 2016. ^ Gera, Emily (September 19, 2013). "The Legend of Zelda: The Wind Waker designers contemplated having beams shoot out of Link's eyes". Polygon. Archived from the original on February 16, 2017. Retrieved June 24, 2016. ^ a b c Fahs, Travis; Thomas, Lucas (August 27, 2010). "IGN Presents the History of Zelda". IGN. p. 5. Archived from the original on April 8, 2016. Retrieved June 26, 2016. ^ a b George, Richard; Thomas, Lucas M. (May 10, 2011). "Nintendo's History at E3: 2002". IGN. Archived from the original on April 28, 2016. Retrieved June 26, 2016. ^ "Miyamoto and Aonuma on Zelda". IGN. December 4, 2002. p. 3. Archived from the original on January 6, 2009. Retrieved June 28, 2016. ^ Mirabella III, Fran (May 22, 2002). "E3 2002: Legend of Zelda". IGN. Archived from the original on January 9, 2006. Retrieved January 21, 2006. ^ Harris, Craig (May 23, 2002). "E3 2002: Zelda GameCube-to-GBA Link Revealed". IGN. Archived from the original on February 13, 2006. Retrieved January 21, 2006. ^ a b Newman, James (2004). Videogames. Psychology Press. pp. 153–154. ISBN 0415281911. ^ a b c "Official Legend of Zelda GCN Title". IGN. October 25, 2002. Archived from the original on February 7, 2012. Retrieved June 28, 2016. ^ "Zelda Gets Official Name". IGN. December 2, 2002. Archived from the original on February 7, 2012. Retrieved June 28, 2016. ^ a b c d e f g h i j k l m n o p q Casamassina, Matt (March 21, 2003). "Legend of Zelda: The Wind Waker". IGN. Archived from the original on January 14, 2006. Retrieved January 20, 2006. ^ Kohler, Chris (2016). Power-Up: How Japanese Video Games Gave the World an Extra Life. Courier Dover Publications. p. 197. ISBN 0486801497. ^ Michael, Sweet (2014). Writing Interactive Music for Video Games. Pearson Education. p. 97. ISBN 0321961587. ^ Teetsel, Sarah (August 2015). Musical Memory of the Player, Characters, and World of The Legend of Zelda Video Game Series (PDF) (Master of Music thesis). Bowling Green University. pp. 14–15. Archived from the original on February 16, 2017. Retrieved July 1, 2016. ^ Otero, Jose (December 10, 2014). "A Music Trivia Tour with Nintendo's Koji Kondo". IGN. Archived from the original on December 10, 2014. Retrieved July 1, 2016. ^ Medina-Gray, Elizabeth (2014). "Meaningful Modular Combinations: Simultaneous Harp and Environmental Music in Two Legend of Zelda Games". In Donnelly, K. J.; Gibbons, William; Lerner, Neil (eds.). Music In Video Games: Studying Play. Routledge. pp. 104–108. ISBN 1134692048. ^ "Inside Zelda Part 4: Natural Rhythms of Hyrule". Nintendo Power. 195: 56–58. September 2005. ^ Teetsel, Sarah (August 2015). Musical Memory of the Player, Characters, and World of The Legend of Zelda Video Game Series (PDF) (Master of Music thesis). Bowling Green University. p. 6. Archived from the original on February 16, 2017. Retrieved July 1, 2016. ^ Teetsel, Sarah (August 2015). Musical Memory of the Player, Characters, and World of The Legend of Zelda Video Game Series (PDF) (Master of Music thesis). Bowling Green University. pp. 6–7, 14–15. Archived from the original on February 16, 2017. Retrieved July 1, 2016. ^ Cole, Michael (May 17, 2004). "GDC 2004 - Eiji Aonuma Zelda Roundtable". Nintendo World Report. Archived from the original on October 10, 2015. Retrieved October 10, 2015. ^ "Zelda Gets US Release Date". IGN. December 4, 2002. Archived from the original on February 12, 2012. Retrieved June 28, 2016. ^ Kennedy, Colin (October 15, 2004). "Zelda: The Wind Waker Review". Empire. Archived from the original on March 9, 2016. Retrieved July 5, 2016. ^ a b Schneider, Peer (April 15, 2003). "Legend of Zelda: Ocarina of Time / Master Quest". IGN. Archived from the original on January 29, 2015. Retrieved July 6, 2016. ^ "More Zelda for Japan". IGN. November 22, 2002. Archived from the original on March 6, 2012. Retrieved July 6, 2016. ^ "Zelda Bonus Disc Coming to US". IGN. December 4, 2002. Archived from the original on February 22, 2012. Retrieved July 6, 2016. ^ a b "Limited Edition Zelda in Europe". IGN. April 15, 2003. Archived from the original on March 6, 2012. Retrieved July 6, 2016. ^ "European Zelda Bundle". IGN. March 26, 2003. Archived from the original on April 21, 2016. Retrieved July 6, 2016. ^ "Zelda Bundle at $99". IGN. November 4, 2003. Archived from the original on August 17, 2012. Retrieved July 6, 2016. ^ a b "The Legend of Zelda: The Wind Waker". Metacritic. 2017. Archived from the original on August 12, 2017. Retrieved March 2, 2017. ^ a b c Alan, Scott (October 3, 2010). "The Legend of Zelda: The Wind Waker—Review". allgame. Archived from the original on December 12, 2014. Retrieved March 2, 2017. ^ a b c d "Review: Zelda The Wind Waker". Computer and Video Games. May 15, 2003. Archived from the original on December 1, 2006. Retrieved March 7, 2017. ^ a b c d e "The Legend of Zelda: The Wind Waker Review". Edge. 123. May 2003. Archived from the original on May 29, 2012. Retrieved March 2, 2017. ^ a b c d e f g h i j k l m n "The Legend of Zelda: The Wind Waker". Electronic Gaming Monthly. 165. April 2003. pp. 122–126. ^ a b c d e f g h Bramwell, Tom (January 5, 2003). "The Legend of Zelda: The Wind Waker". Eurogamer. Archived from the original on April 15, 2017. Retrieved March 6, 2017. ^ a b c d e f "ニンテンドーゲームキューブ - ゼルダの伝説 風のタクト". Weekly Famitsu. 915 (2). June 30, 2006. p. 101. ^ a b c d e f Powers, Rick (December 10, 2002). "Zelda: Kaze no Takuto reviewed in Famitsu". Nintendo World Report. Archived from the original on March 5, 2017. Retrieved March 6, 2017. ^ a b c d e f g h i Reiner, Andrew. "Legend of Zelda: The Wind Waker review". Game Informer. Archived from the original on April 27, 2008. Retrieved December 23, 2008. ^ a b c d e f Dingo, Star (March 21, 2003). "Review: The Legend of Zelda: The Wind Waker". GamePro. Archived from the original on April 20, 2008. Retrieved March 2, 2017. ^ a b c Liu, Johnny (March 15, 2013). "The Legend of Zelda: The Wind Waker Review". GameRevolution. Archived from the original on May 29, 2016. Retrieved March 2, 2017. ^ a b c d e f g h i j Gerstmann, Jeff (March 21, 2003). "The Legend of Zelda: The Wind Waker review". GameSpot. Archived from the original on November 4, 2013. Retrieved January 20, 2006. ^ Williams, Bryn (March 31, 2003). "The Legend of Zelda: The Wind Waker (GCN)". GameSpy. Archived from the original on June 29, 2011. Retrieved March 2, 2017. ^ a b Nicholson, Zy (February 7, 2017). "The Legend of Zelda: The Wind Waker". NGC. GamesRadar. Archived from the original on June 30, 2003. Retrieved March 6, 2017. ^ a b c d e f "Now Playing". Nintendo Power. 167: 132. April 2003. ^ a b c d Berghammer, Billy (March 24, 2003). "The Legend of Zelda: The Wind Waker". Planet GameCube. Nintendo World Report. Retrieved March 2, 2017. ^ a b "Best of 2003: Game of the Year". GameFAQs. January 8, 2004. Archived from the original on May 26, 2013. Retrieved March 1, 2017. ^ a b McDonald, Thomas L. (December 2003). "2004 Buyer's Guide To Games". Games. 27 (196). GAMES Publications. p. 53. ISSN 0199-9788. ^ a b "GameSpot's 2003 Game of the Year". GameSpot. Archived from the original on February 18, 2004. Retrieved March 10, 2006. ^ a b "Nintendo Power Awards". Nintendo Power. 180. June 2004. ^ a b "The Planet GameCube Louie Awards 2003". Nintendo World Report. January 31, 2004. Retrieved March 1, 2017. ^ a b Newman, James; Simons, Iain (2007). 100 Videogames. British Film Institute. p. 100. ISBN 1844571610. ^ "Overall Game of the Year". IGN. 2004. Archived from the original on April 23, 2009. Retrieved March 2, 2017. ^ "GameCube: Best Adventure Game". IGN. 2004. Archived from the original on February 2, 2009. Retrieved March 2, 2017. ^ "Game Developer Choice Awards Archive/Visual Arts". gamechoiceawards.com. Game Developers Choice Awards. Archived from the original on April 15, 2012. Retrieved March 1, 2017. ^ "2004 Interactive Achievement Awards – The Legend of Zelda: The Wind Waker". interactive.org. Academy of Interactive Arts and Sciences. Archived from the original on August 1, 2016. Retrieved March 1, 2017. ^ Newman, James; Simons, Iain (2007). 100 Videogames. British Film Institute. pp. 98–100. ISBN 1844571610. ^ DeWinter, Jennifer (2015). Shigeru Miyamoto. Bloomsbury. p. 95. ISBN 1628923865. ^ a b c Totilo, Stephen (October 4, 2013). "The Internet's 2001 Hate For One Of The Most Beautiful Video Games Ever". Kotaku. Archived from the original on October 19, 2016. Retrieved February 22, 2017. ^ "Wind Waker Tops 560,000 Pre-Orders". IGN. March 12, 2003. Archived from the original on January 9, 2006. Retrieved January 24, 2006. ^ a b c Aonuma, Eiji (March 2007). "Eiji Aonuma's GDC 2007 Presentation". The Legend of Zelda: Twilight Reflections in the Hourglass (Speech). Game Developers Conference. Nintendo World Report. Translated by Bill Trinen. Archived from the original on August 20, 2013. Retrieved February 24, 2017. ^ a b c Aonuma, Eiji (March 2007). "The fate of Wind Waker 2". The Legend of Zelda: Twilight Reflections in the Hourglass (Speech). Game Developers Conference. Nintendo World Report. Translated by Bill Trinen. Archived from the original on August 20, 2013. Retrieved February 24, 2017. ^ DeWinter, Jennifer (2015). Shigeru Miyamoto. Bloomsbury. pp. 142, 144. ISBN 1628923865. ^ "E3 2004: New Legend of Zelda Details". IGN. May 12, 2004. Archived from the original on September 25, 2006. Retrieved December 5, 2006. ^ Fahs, Travis; Thomas, Lucas (August 27, 2010). "IGN Presents the History of Zelda". IGN. p. 6. Archived from the original on January 18, 2017. Retrieved July 11, 2016. ^ "E3 '07: The Director, Phantom Hourglass and Zelda's Future". GamerNode. July 13, 2007. Archived from the original on February 19, 2017. Retrieved July 11, 2016. ^ Fahs, Travis; Thomas, Lucas (August 27, 2010). "IGN Presents the History of Zelda". IGN. p. 7. Archived from the original on December 21, 2016. Retrieved July 11, 2016. ^ Carris, Craig (November 6, 2009). "The Legend of Zelda: Spirit Tracks". IGN. Archived from the original on March 22, 2016. Retrieved July 11, 2016. ^ Sleeper, Morgan (June 18, 2015). "First Impressions: Linking Up in The Legend of Zelda: Tri Force Heroes". Nintendo Life. Archived from the original on August 30, 2016. Retrieved July 11, 2016. ^ Fahs, Travis; Thomas, Lucas (September 26, 2013). "Toon Link from Zelda: Wind Waker joins Super Smash Bros. Wii U/3DS roster". VentureBeat. Archived from the original on May 29, 2016. Retrieved July 11, 2016. ^ Osborn, Alex (September 8, 2015). "Toon Link Joins Hyrule Warriors Legends as a Playable Character". IGN. p. 6. Archived from the original on September 9, 2015. Retrieved July 11, 2016. ^ Shea, Brian (April 27, 2016). "Replica Of Wind Waker Baton From Zelda Available For Pre-Order". Game Informer. Retrieved September 28, 2017. ^ Minotti, Mike (March 1, 2017). "The Legend of Zelda: Breath of the Wild looks like Wind Waker for a reason". VentureBeat. Archived from the original on March 19, 2017. Retrieved May 16, 2017. ^ Jackson, Gita (March 9, 2017). "Breath of the Wild Doesn't Fit Anywhere On The Zelda Timeline". Kotaku. Gizmodo Media Group. Archived from the original on April 3, 2017. Retrieved May 16, 2017. ^ "The Greatest 200 Videogames of Their Time". Electronic Gaming Monthly. February 6, 2006. Archived from the original on December 2, 2012. Retrieved March 1, 2017. ^ a b "NP Top 200". Nintendo Power. 200: 58–66. February 2006. ^ "NP's All Time Favorite Games". Nintendo Power. 285: 26. December 2012. ^ "Readers' Picks Top 100 Games: 1–10". IGN. 2006. Archived from the original on November 3, 2013. Retrieved April 26, 2014. ^ "Top 100 Games of All Time 2008: 29. The Legend of Zelda: The Wind Waker". IGN. 2008. Archived from the original on March 13, 2016. Retrieved March 1, 2017. ^ "The Top 125 Nintendo Games of All Time". IGN. September 24, 2014. Archived from the original on September 26, 2014. Retrieved September 26, 2014. ^ Sanchez, Miranda (October 2015). "Top 100 Games of All Time: 96. The Legend of Zelda: The Wind Waker". IGN. Archived from the original on January 9, 2017. Retrieved March 1, 2017. ^ "20–11 Official Nintendo Magazine". Official Nintendo Magazine. Archived from the original on February 25, 2009. Retrieved February 25, 2009. ^ Sal Basile (July 6, 2010). "The Top 50 Games That Belong On the 3DS". UGO. Archived from the original on September 16, 2011. Retrieved April 25, 2011. ^ "The Top 25 GameCube Games of All Time". IGN. March 16, 2007. Archived from the original on March 20, 2007. Retrieved March 18, 2007. ^ Nintendo Power staff (November 2011). "Think Inside the Cube—Top 25 GameCube Games". Nintendo Power. 273: 60. ^ a b Wynne, James (June 28, 2014). "Mature content has nothing to do with whether a game is good". VentureBeat. Retrieved February 22, 2017. ^ a b c Gerardi, Matt (December 19, 2014). "Readers wonder why Zelda fans railed against the Wind Waker look". The A.V. Club. Archived from the original on August 31, 2016. Retrieved February 22, 2017. ^ a b c Drake, Audrey (February 11, 2016). "A Tale of Redemption- The Legend of Zelda: Wind Waker". IGN. Archived from the original on July 31, 2016. Retrieved February 22, 2016. ^ a b Watts, Stephen (October 3, 2013). "The Legend of Zelda: The Wind Waker HD (almost) perfects a classic". Shacknews. Archived from the original on July 2, 2017. Retrieved February 23, 2017. ^ a b Kohler, Chris (July 13, 2013). "Q&A: Zelda's Producer Crafting New Legends for 3DS, Wii U". Archived from the original on February 20, 2014. Retrieved February 28, 2017. ^ "Wii U News: Nintendo tested Twilight Princess and Skyward Sword on Wii U". Official Nintendo Magazine. Archived from the original on July 7, 2013. Retrieved September 22, 2013. ^ Valdes, Giancarlo (August 22, 2013). "Here's what's new in The Legend of Zelda: Wind Waker HD". VentureBeat. Archived from the original on December 29, 2016. Retrieved February 28, 2017. ^ "The Legend of Zelda: The Wind Waker HD for Wii U". GameRankings. CBS Interactive. Archived from the original on January 29, 2017. Retrieved February 25, 2017. ^ "The Legend of Zelda: The Wind Waker HD for Wii U Reviews". Metacritic. CBS Interactive. Archived from the original on August 12, 2017. Retrieved February 25, 2017. Ali, Imran. Virtual Landscapes: The Modern Era (2002–2012). Zayn Creative. ISBN 095740865X. Kohler, Chris (2016). Power-Up: How Japanese Video Games Gave the World an Extra Life. Courier Dover Publications. ISBN 0486801497. Medina-Gray, Elizabeth (2014). "Meaningful Modular Combinations: Simultaneous Harp and Environmental Music in Two Legend of Zelda Games". In Donnelly, K. J.; Gibbons, William; Lerner, Neil (eds.). Music In Video Games: Studying Play. Routledge. pp. 104–121. ISBN 1134692048. Newman, James (2004). Videogames. Psychology Press. ISBN 0415281911. Newman, James; Simons, Iain (2007). 100 Videogames. British Film Institute. ISBN 1844571610. Teetsel, Sarah (August 2015). Musical Memory of the Player, Characters, and World of The Legend of Zelda Video Game Series (PDF) (Master of Music thesis). Bowling Green University. Retrieved June 29, 2016.